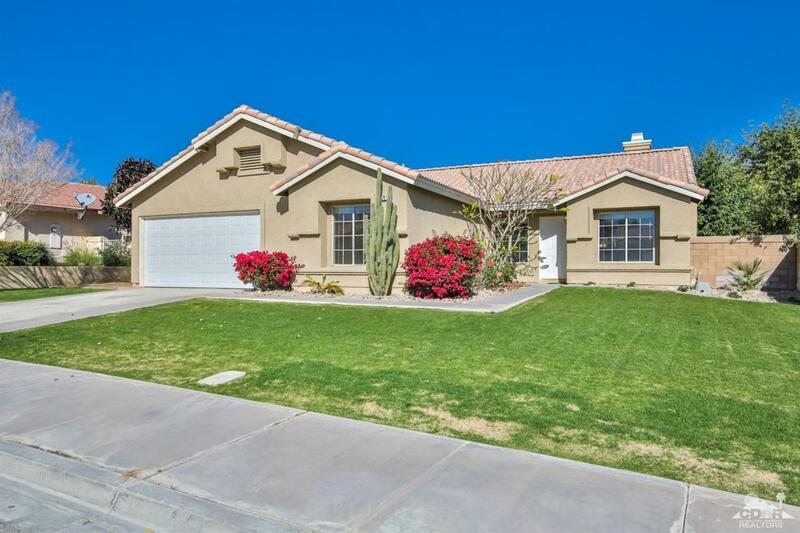 Great home in popular North La Quinta Del Rey neighborhood. 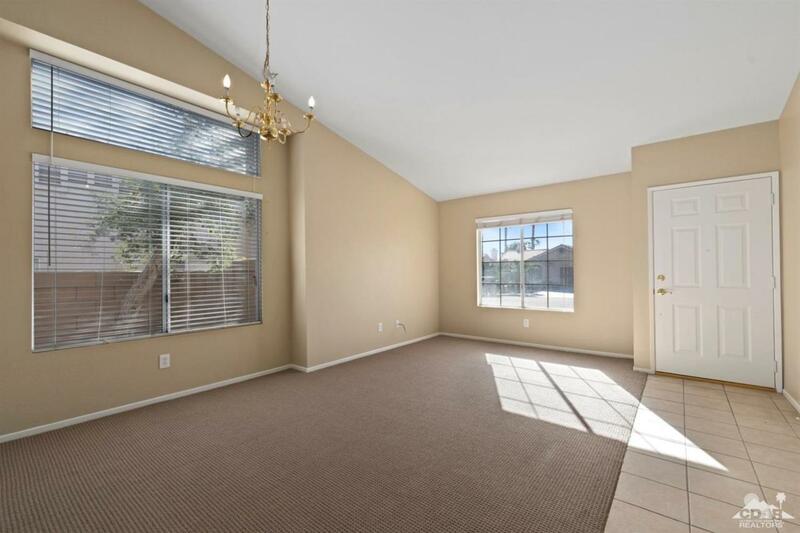 Move in ready 4 bedroom, 2 bathroom, 1639 square feet & sitting on a 7,841 square foot lot makes this property perfect for any full time resident, part time resident, or investor looking for the perfect rental. 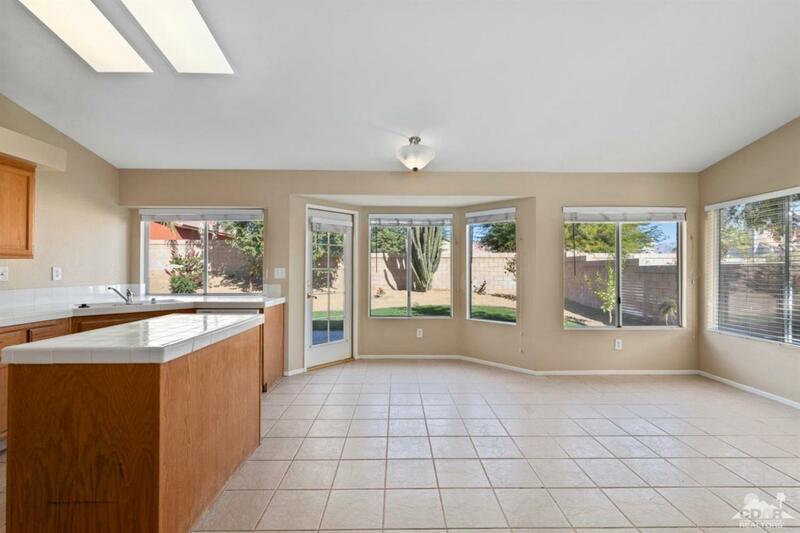 The interior features vaulted ceilings, tile floors throughout with carpet in bedrooms and newly carpeted living room, separate family room with cozy fireplace open to dining area and kitchen with island, all white appliances and tile countertops. Indoor laundry area with storage. Newly landscaped both front and rear, fully enclosed back yard and a 2 car attached garage with direct access. No HOA and low tax base. 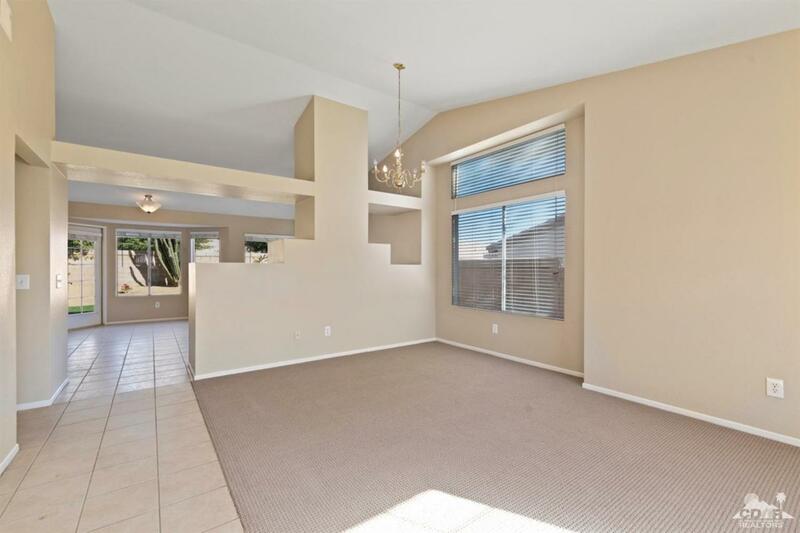 Within walking distance to the best schools in Desert Sands School District, close to shopping, restaurants and park. This charming home is clean and a must see! This one won't last long! Listing provided courtesy of Wendy Preston of Desert Elite Properties.